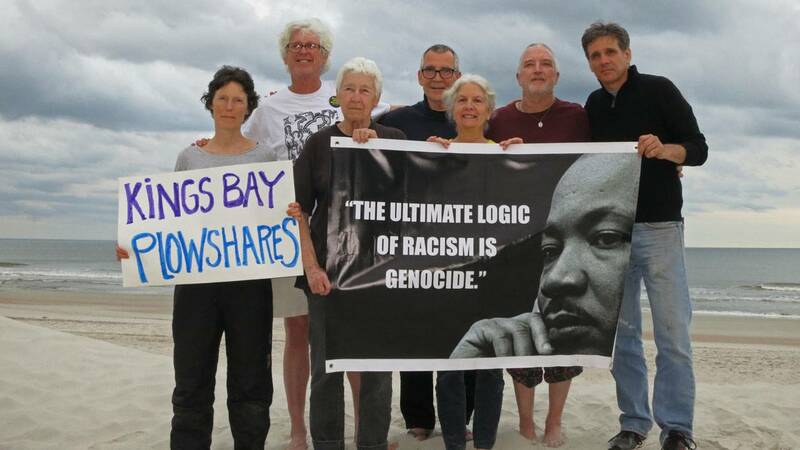 "I believe they walked on," Plowshares supporter Jessica Stewart said. "They went through a fence and walked on. Surprisingly, considering it’s a nuclear installation, I don’t think it was difficult for them to gain access." The group, which is opposed to nuclear weapons and advocates active resistance to war, tried to "convert weapons of mass destruction," the release said. "They were seeking through their actions to disarm those weapons symbolically and move us toward a world where we have economic justice, where racism has been dismantled and where we can live in peace," Stewart said. "I don’t think they feel they were breaking the law. I think they feel they were following international law, which calls on citizens to prevent unjust war and the proliferation of nuclear weapons and crimes against humanity." The activists said they chose to enter the base on the 50th anniversary of the assassination of Dr. Martin Luther King Jr. 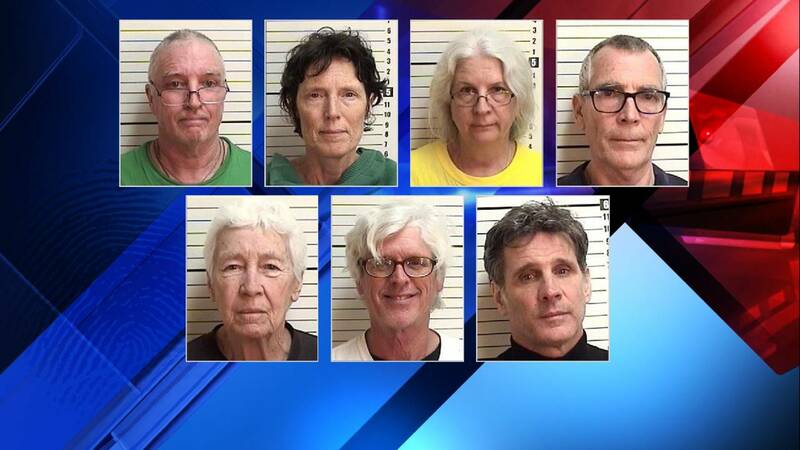 Mug shots of seven activists arrested on Kings Bay Submarine Base. The seven will appear Friday morning at a bond hearing.